As I talked about a little bit last week, our family is saving for a home. We’re putting away large percentages of our incomes every month, and it’s gratifying to see the numbers add up. One day I got to thinking about the numbers, though, and I realized we weren’t being very smart. At 0.10% interest, we were barely building a profit of double digits per year. There was a better way; I had just been too slothful to pursue it. What is the better way? It’s pretty simple: shop around. Comparing interest rates has never been as easy as it is today with so much information at our fingertips. Going online and checking out what your options are are is a very worthy time investment. 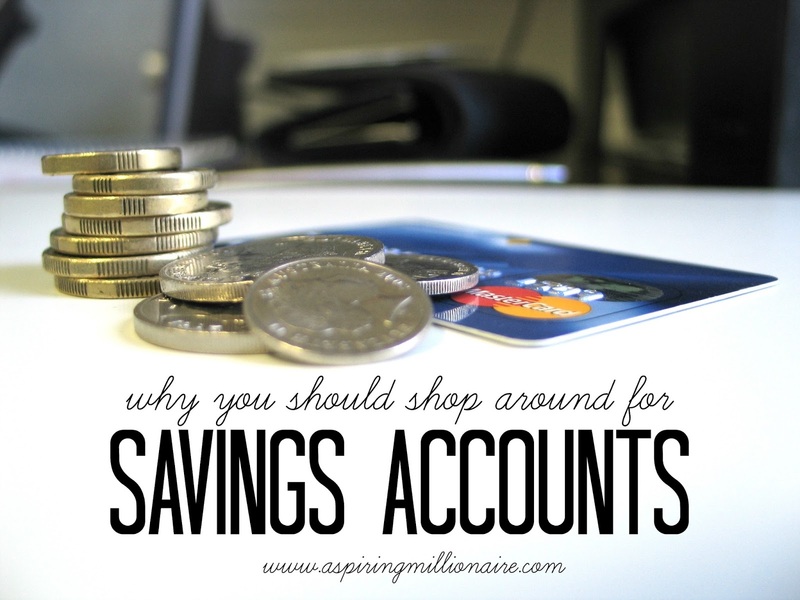 Because we shopped around, we were able to find an account with 1% interest. That means that over the course of the year, we will have garnered 10x the interest we would have if we left everything in the older, smaller-yielding account. Ten times is huge, and all we had to do was open a new bank account. 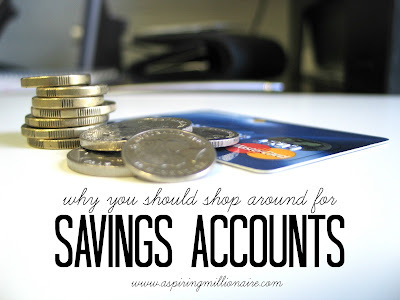 Credit Unions typically offer higher interest rates on savings accounts. This time around, our local credit unions didn’t pan out as advantageous, but I’ve had one in the past that was close to the 10x figure. Your results will be local, so if you’re going to ask anyone for help with this one, make sure it’s someone who’s in your area. You can, of course, do the leg work pretty easily yourself with a search engine. Some banks offer sign up bonuses via higher interest rates for a set period, or cold, hard cash. These offers are amazing; why wouldn’t you open a bank account in order to accrue an extra $250? Or a 20% bonus? There are however, a couple of things you should watch out for. The first is to make sure that after that promotional period is over (or the cash is paid out) you’ll still be getting a competitive interest rate. Two hundred fifty dollars wouldn’t even come close to the amount we’re making by having an account with 1% interest. The other thing to look for is minimum balance requirements. Sometimes the largest cash bonuses are paid to accounts that have high minimum balance requirements, which could affect how you manage your finances. The route we took was an online bank. At the time we were shopping, online options were beating even our local credit unions by leaps and bounds. They can offer these higher interest rates simply because they are not brick and mortar. The overhead costs of running one branch, nonetheless hundreds or thousands, cuts into profits. Online banks are able to take that money and pass it on to their clientele. Shopping around shouldn’t take more than a couple of hours max. If you can’t find any bonuses, don’t let that stop you from opening your account today. Most savings accounts compound interest daily, so everyday you delay waiting for the perfect opportunity, you’ll have missed a chance to increase your savings effortlessly. Maybe even by ten times.